Utah is the perfect state for an adventurous holiday; from mountain peaks to forests, rivers to canyons – Utah has it all. Full of iconic destinations, outdoor activities, and events, Utah is a hot tourist spot in America. The state capital of Salt Lake City is so named due to the approximately 1700 square mile nearby lake in the north of Utah. This beautiful and historical city features some top standard accommodation and dining experiences which can’t be missed. The luxury hotels on offer in Utah are attractively and thoughtfully presented, and could be just what you need after a tiring hike across mountainous terrain (or a long day relaxing in the sun…). 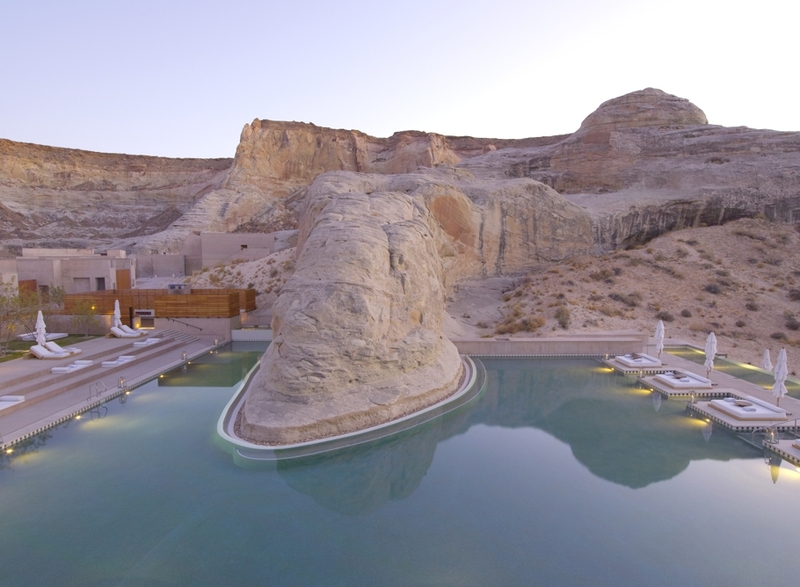 Amangiri, Amanresorts’ luxury retreat set in Utah’s dramatic desert landscape, is fast becoming recognised for its innovative and luxe design.